I missed the commemorative Titanic tea day as yesterday was my niece's birthday, and I just didn't end up getting a tea party together in time as I had hoped and planned. But I have been thinking of that era non-stop for weeks; a time of impeccably good manners, beautiful clothing and honed propriety and loveliness. What better way to show my affection for this by-gone era then to share a photo of my lovely maternal Grandmother and her pretty teapot. 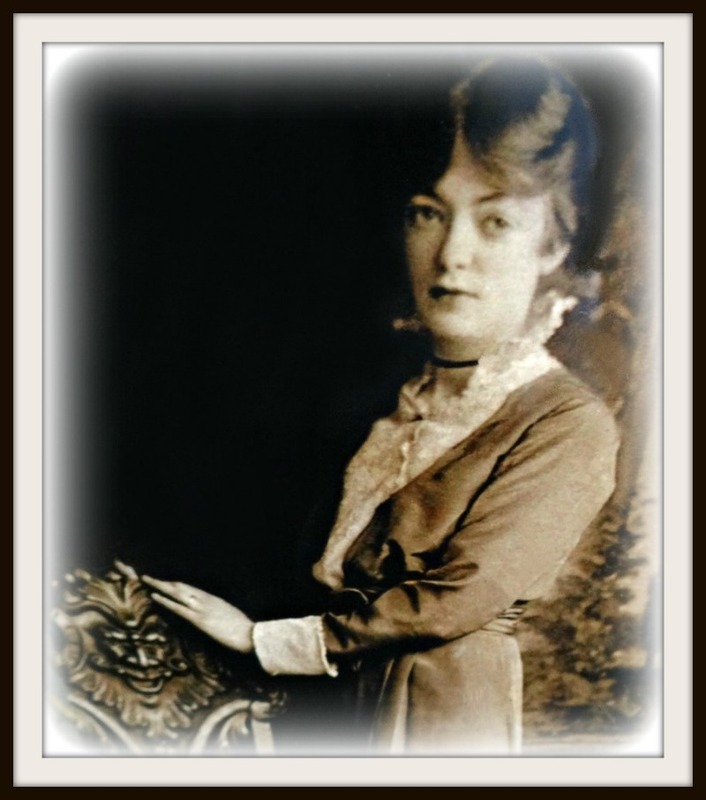 This photo of her was taken during that time period. 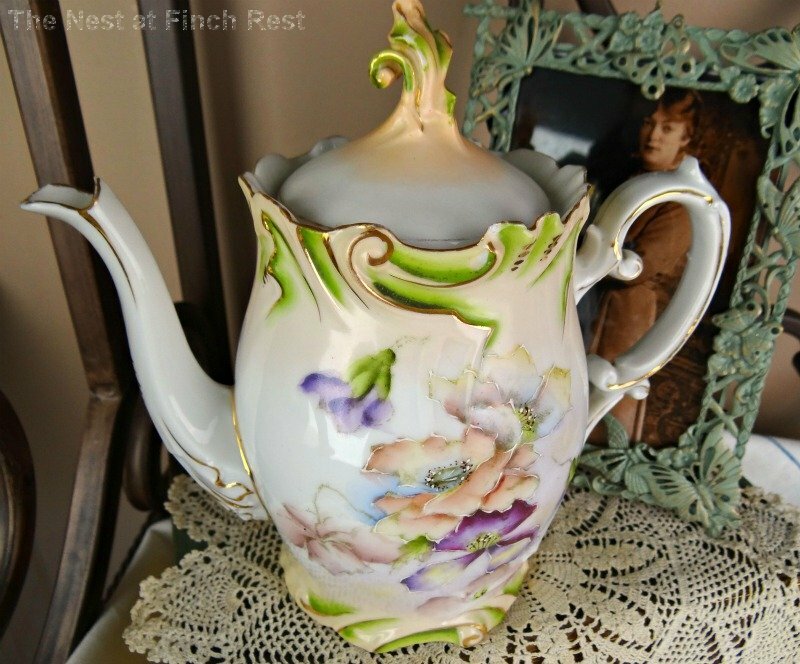 This full sized teapot is all I have of hers - it is feather-light and translucent. It is the most amazing teapot I have ever held. It is very very old. In fact it may even be HER mother's now that I think about it. I know it was cherished by my Mom for as long as I can remember. It was placed up VERY high away on a decorative bookcase shelf in our living room for as long back as I can remember....far from my mom's five children and our wild and rambunctious play! 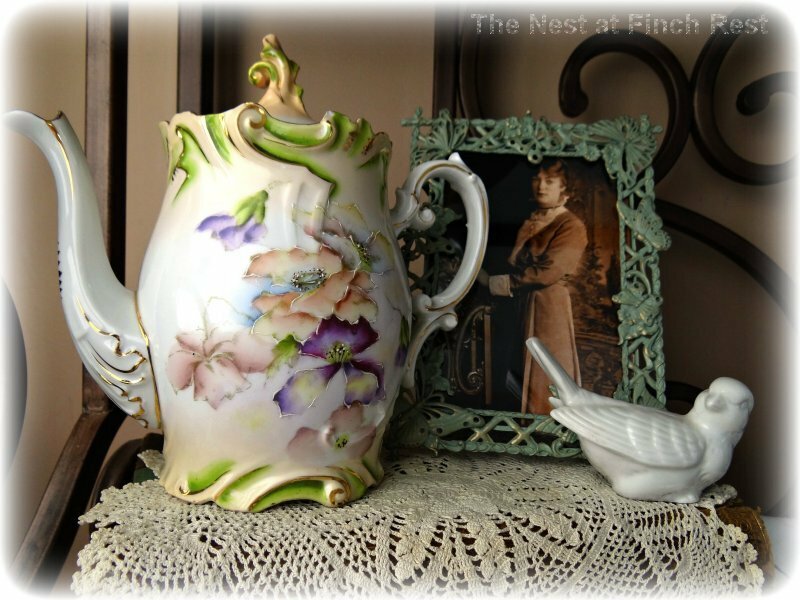 This teapot is truly one of my most beloved and treasured items. It hardly weighs a thing - featherlight - only 13 ounces! It's shocking how delicate is this teapot. 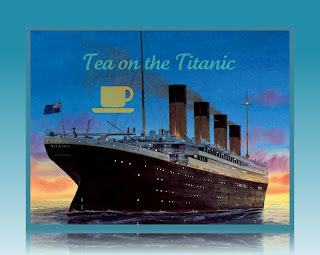 For all who did such a fine job with Sandi's Titanic Tea Link Party, I salute you! Oh you are absolutely right! Your grandmother was so beautiful. I never met my maternal grandmother either, she passed when my mother was 13. I have a few pictures of her which I so enjoy. The teapot is a real treasure. It is also so very beautiful. Blessings! What an extraordinary teapot! It is very lovely and a priceless treasure! And I agree with you; your grandmother was a beautiful lady. Thank you for sharing the beautiful teapot and your story with us. What a beautiful teapot and what a treasure! You are very fortunate to have inherited this beauty & that it is in such wonderful condition too. Your Grandmother's teapot is breathtakingly beautiful. What a wonderful treasure to cherish. What a treasure to have something so beautiful which belonged to numerous generations of ladies in your family! Michele, your grandmother was a beautiful woman and it is so nice that you have her unique teapot. It would be nice if some of the traditions from her era could come back. Hi Michele! Your teapot is wonderful! I can't imagine using such a treasure. So delicate and beautiful! Such a lovely picture of your grandmother. My maternal grandmother's name is Margaret too. She was of German descent. Hope those winds blow away soon! What a divine teapot! It looks so pretty next to your grandmother's picture. You are so lucky to have these treasures! Such a treasure Michelle! 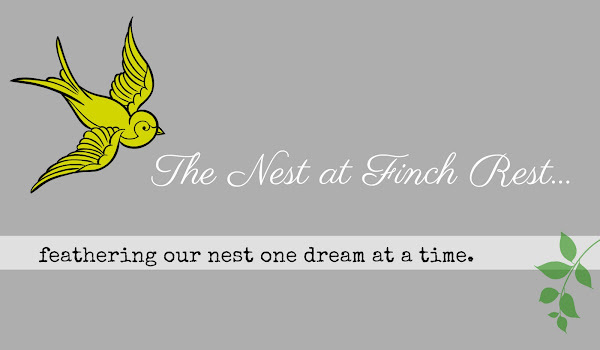 A tribute to your beautiful maternal grandmother! That is the most beautiful teapot I have ever seen! Such a lovely post Michele. How beautiful is your grandmother. I watched a 3 hour documentary on the titanic on sunday. Such a tragic disaster. Your grandmother tea pot is beautiful.. it looks hand painted , so fine and delicate. I also had a look at your "emporium" how lovely. Wish i wasnt the other side of the Atlantic I eyed a couple of nice things there..
That is a gorgeous teapot, Michele! And yes, your grandmother was a very attractive woman. I think it's wonderful that you have her teapot and a picture of her. It is very special for you to have such a piece. Thank you for sharing it with us. Now that is a phenomenal teapot! Such intricate detail and soft yet vibrant colors! Love it!!! What an amazing teapot! I had never seen one like it, but it looks French to me. Such a treasure, both for its beauty and for the treasured memories of your grandmother... even though you never met her. Wow, Michele - your grandmother was absolutely gorgeous! Her teapot is so beautiful - how lucky you are to have it! I enjoyed your post so much. You have a very beautiful teapot from your darling Grama. I have a tea set from my Grama and feel very blessed to have it. Thank you for sharing this. Michele, what a lovely thoughtful post. Your teapot is truly a treasure. Thank you for sharing with us. Such a great privilege to own your grandmother's beautiful teapot! All of your images are excellent but your teapot must be so special to you especially if this is all of have from her. It will be a treasure always. Thanks for sharing your choices. What a sweet post about your grandmother! She does look really lovely. 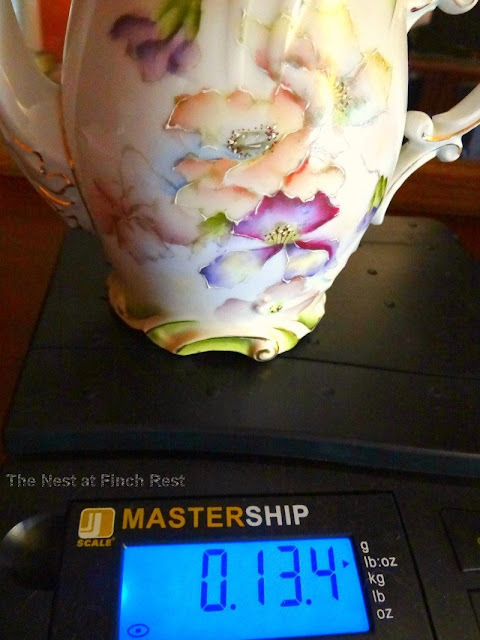 The tea pot is stunning and I can believe it is very light as I have one like it and it too is super light. You are so lucky to have her photo and her tea pot. A lovely reminder of your heritage. Your grandma is a beauty!!! 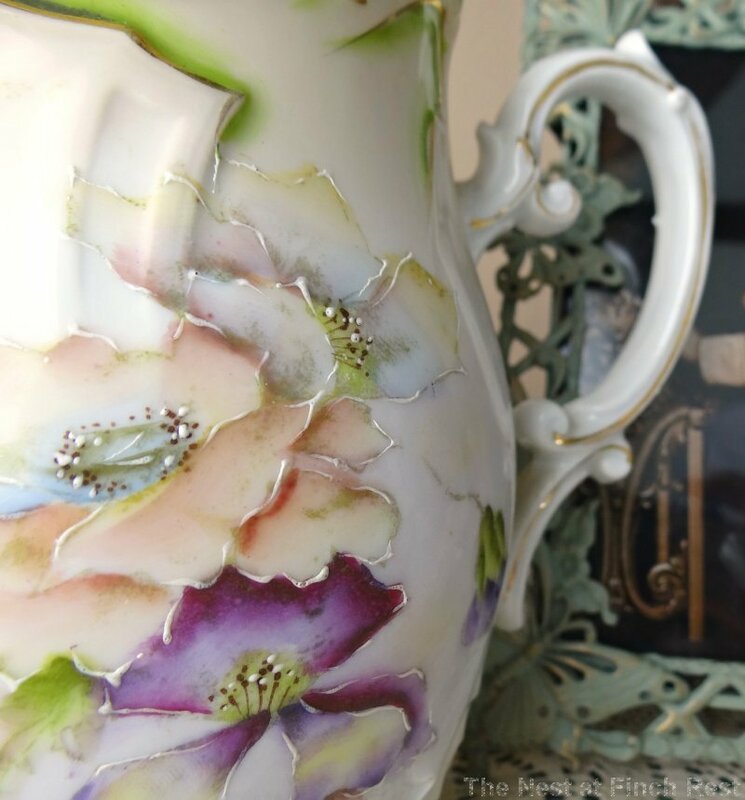 I often think I was born in the wrong era with my love of more Victorian style items and vintage china! This teapot is a true treasure indeed. What a beautiful treasure from your gorgeous grandmother. Thank you for sharing them both. I love genealogy and think it's wonderful when someone is interested in family and heritage. What a treasure. 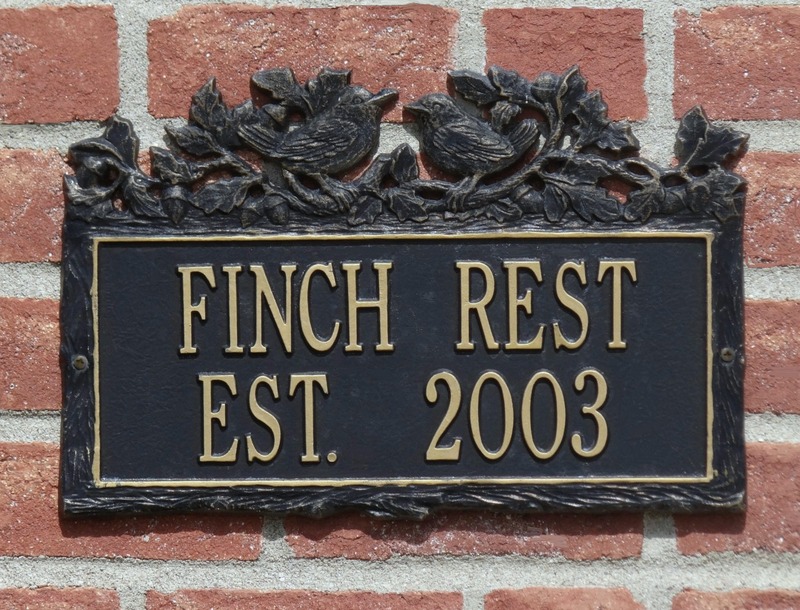 The story is such a wonderful family heirloom. I know you hold close the memories it has and will keep this tea pot forever. Thanks for sharing. Gorgeous Micele! Both the teapot and your grandmother.